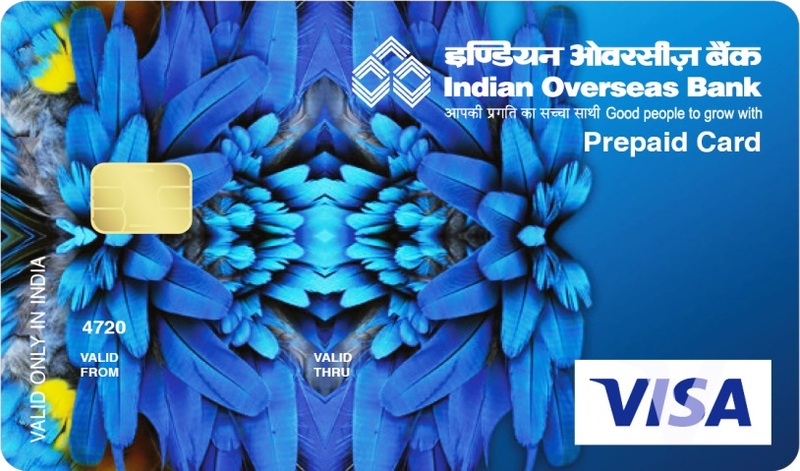 Indian Overseas Bank Prepaid Card is an ideal choice for usage of Cards in all Alternative Delivery Channels like PoS/E-com/ATM. Cardholders can make purchases or withdraw cash when they need it, rather than carrying large sums of cash. Prepaid Card is the one stop solution for your secured way of using Card with limited amount loaded at your option. IOB Prepaid Card has the convenience of a Debit card with the ability to allow you to set your spending limit according to your budget. Access to funds on a prepaid card is protected by a PIN at ATM/PoS. Just load your Prepaid Card through Internet Bank / Branch and pay for everything you need — online shopping, bill payments or everyday purchases, including Cash withdrawals from all ATMs.